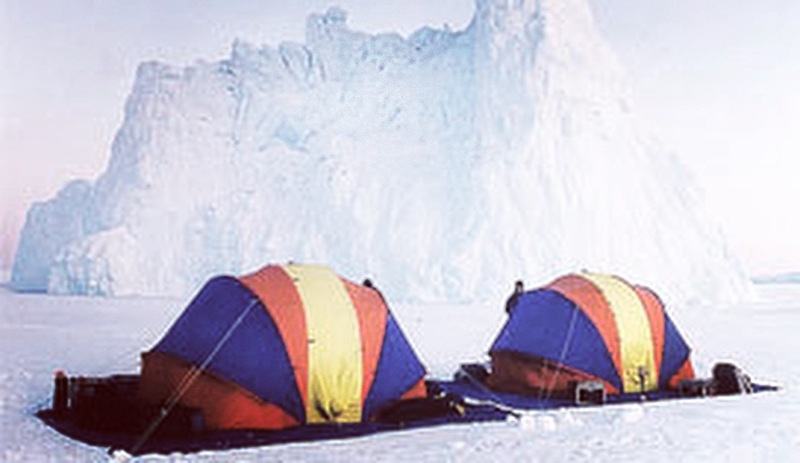 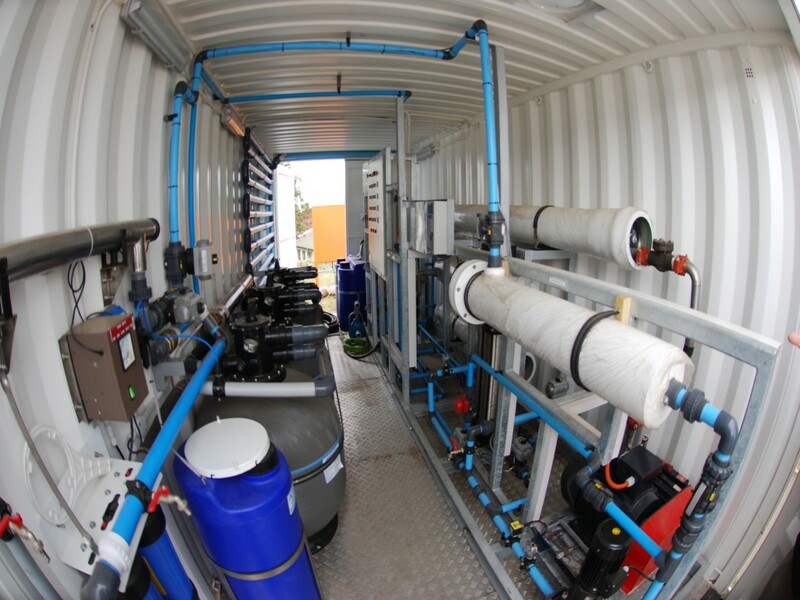 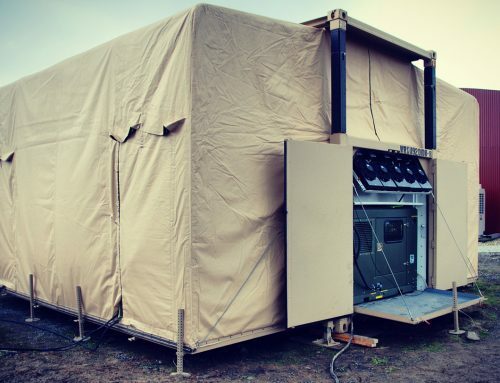 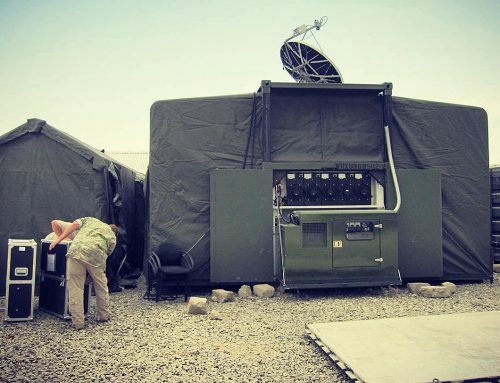 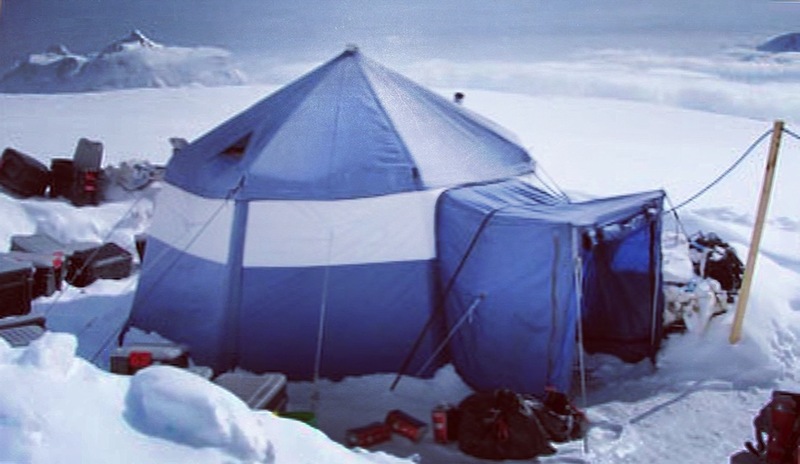 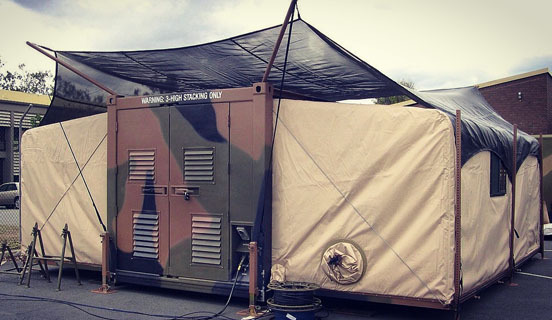 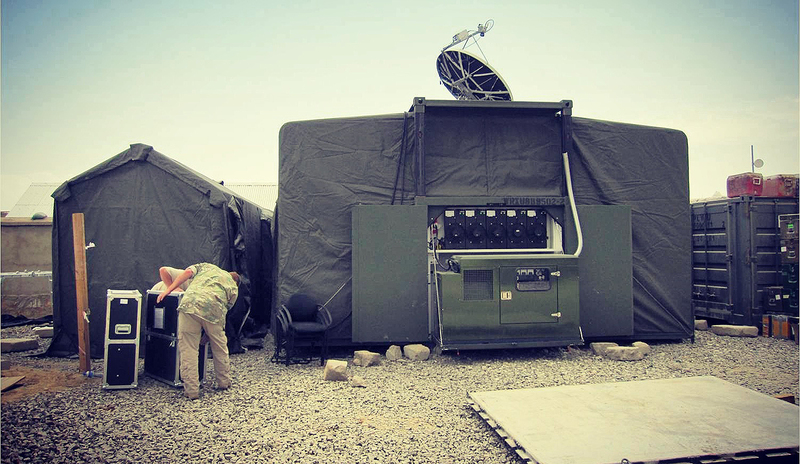 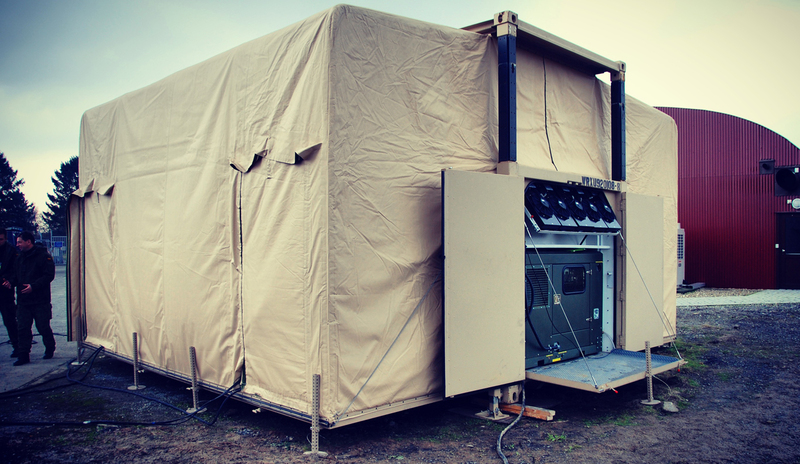 The client required a completely self contained, specialist mobile vehicle workshop that could be quickly deployed at various locations for short periods of time in order to perform specialist ISR and communication installations into their military vehicles. 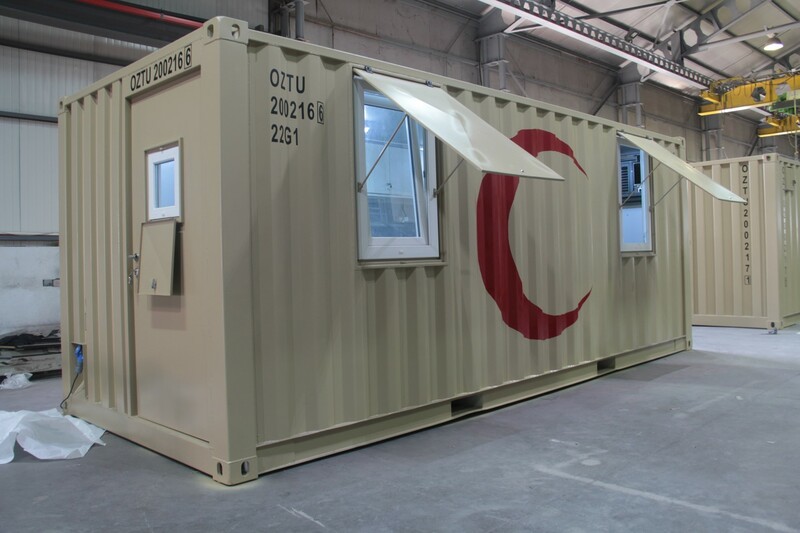 The workshop needed to have a floor loading capacity of 14,000 kg together with basic toolsets, power, lighting, Heating Ventilation & Air Conditioning (HVAC) and secure storage. 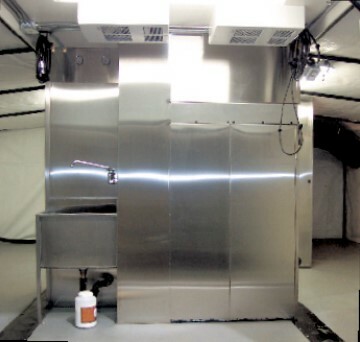 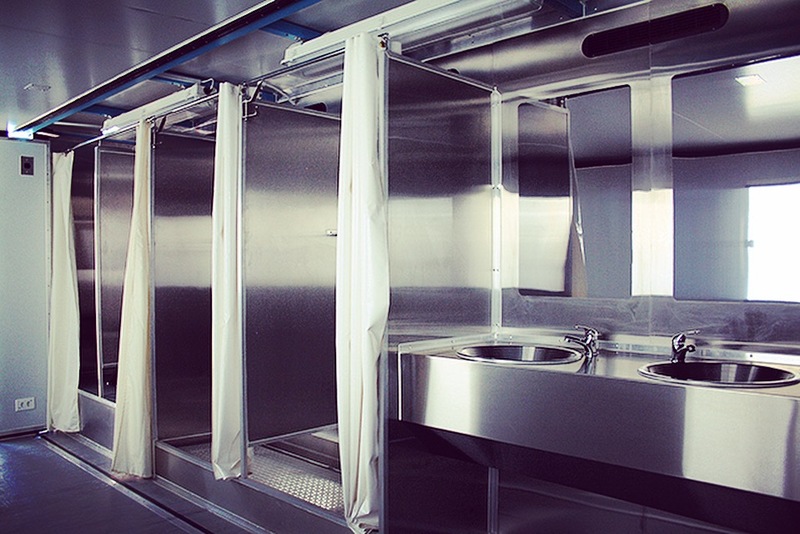 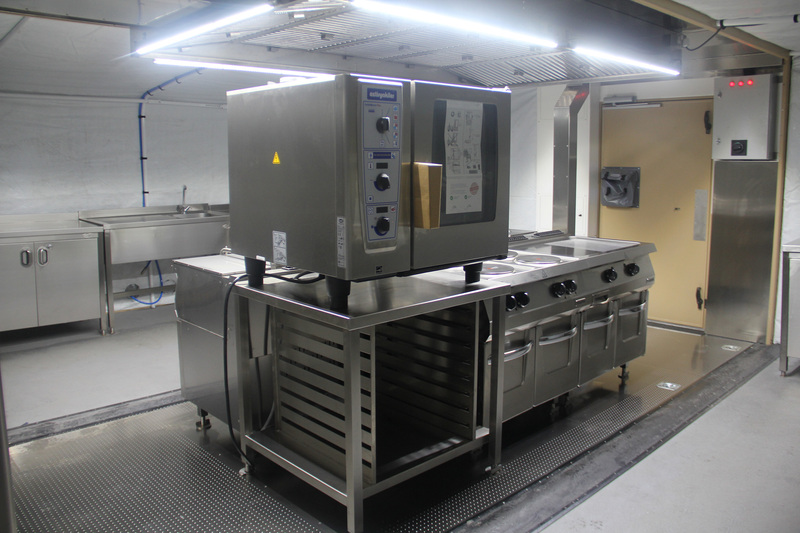 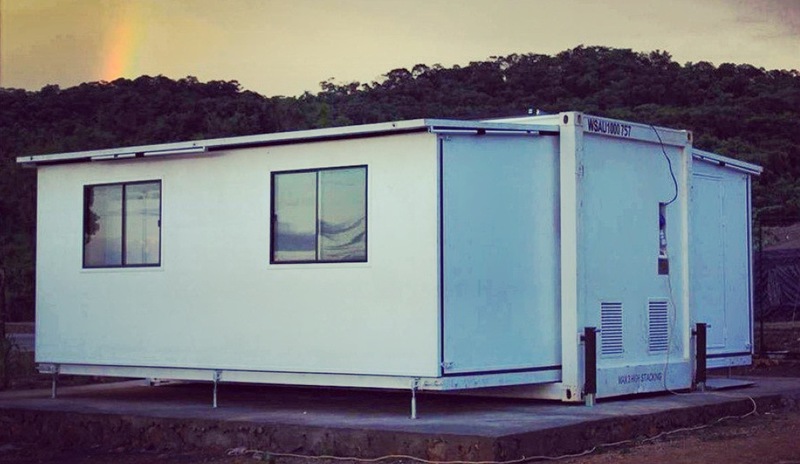 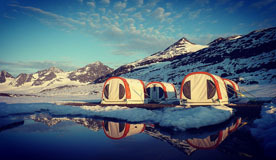 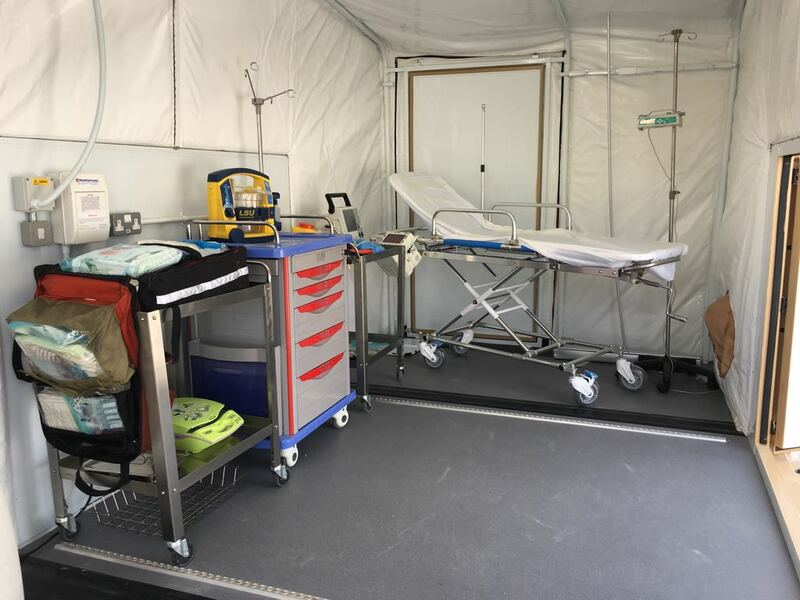 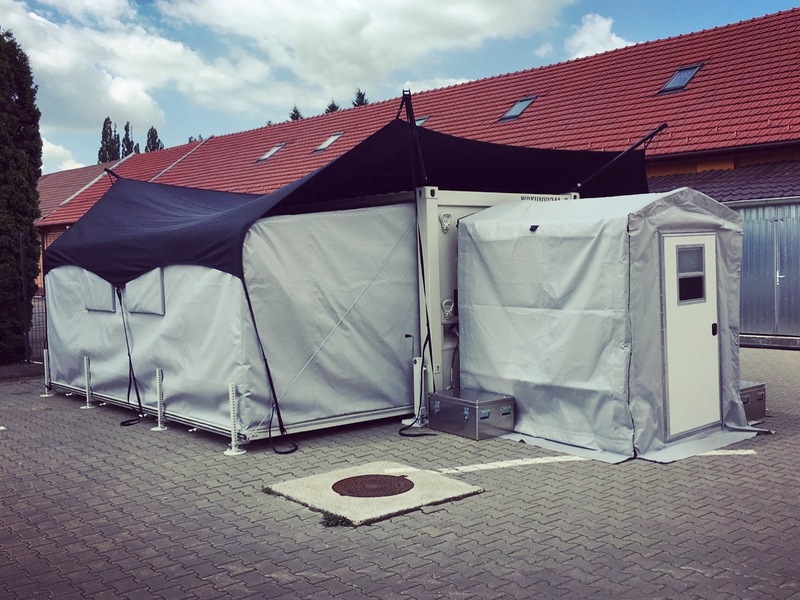 The EHMECC platform was the only shelter on the market that could meet such a demanding and innovative mobile vehicle workshop requirement specification. 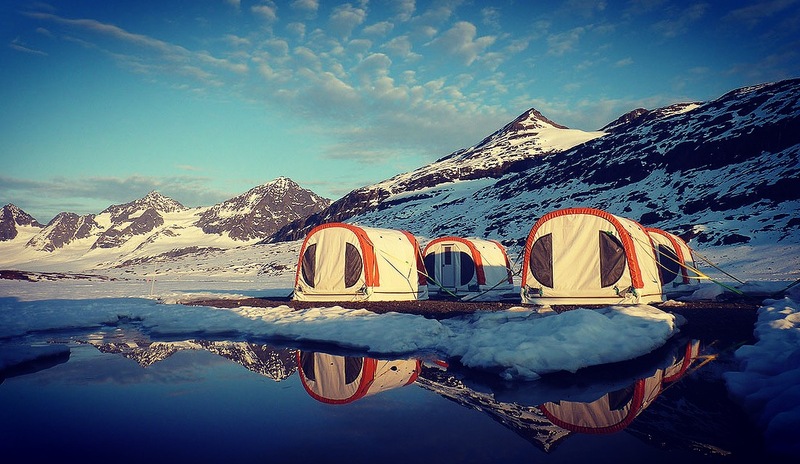 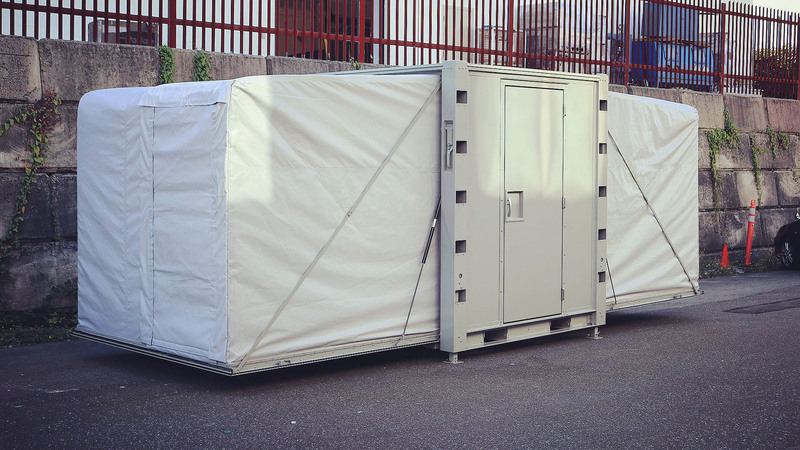 The ability to be fully operational and able to accept a vehicle for modification in less than 30 minutes, together with integral 30kVA power generation and an HVAC to provide a clean, controlled working environment were key deliverables of this project. 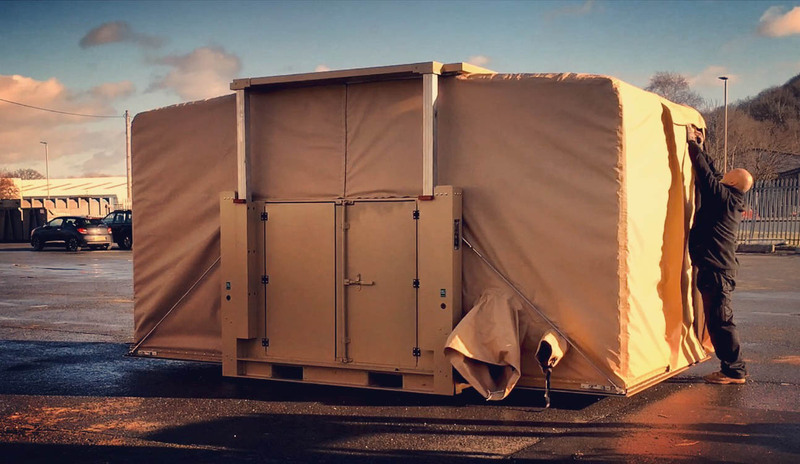 The logistical benefits offered to the military with the EHMECC vehicle workshop being able to ship as a single 20ft CSC plated ISO container speak for themselves. 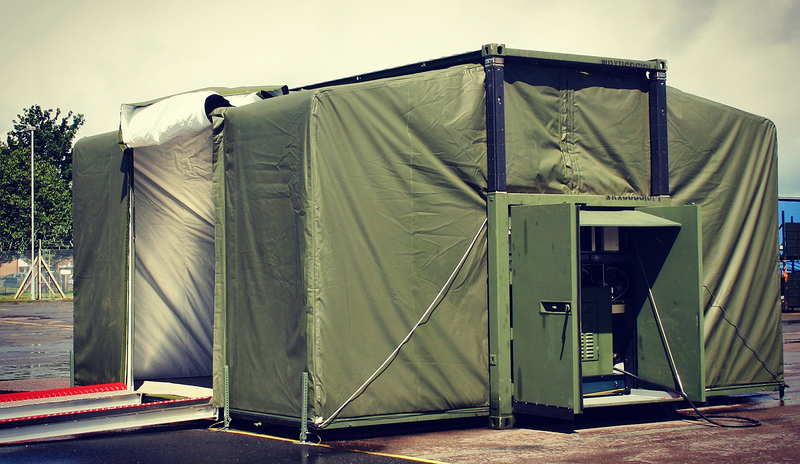 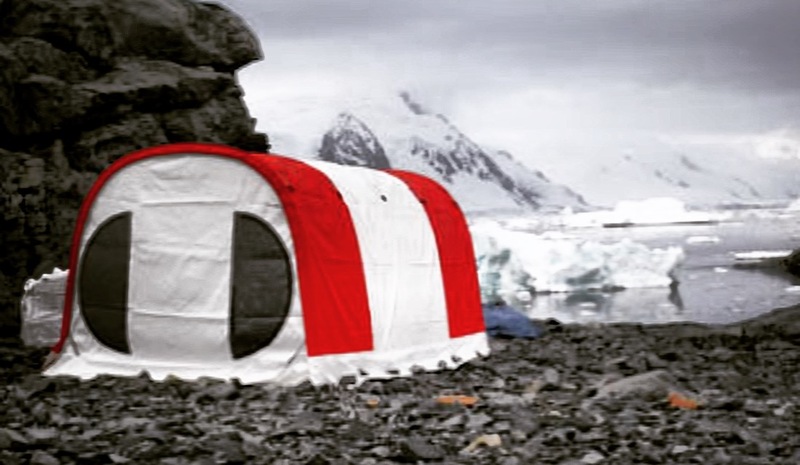 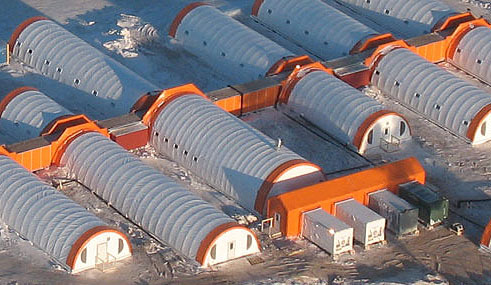 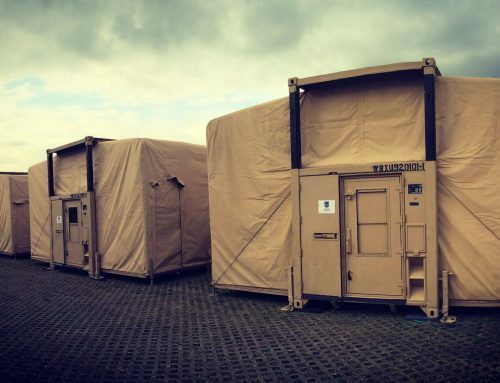 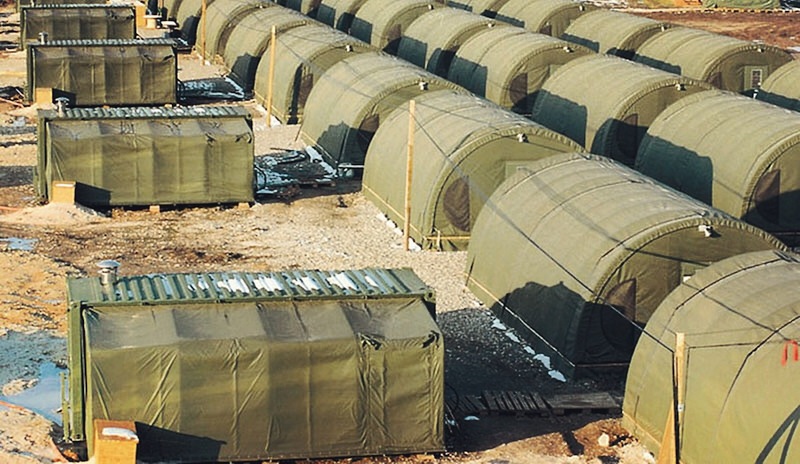 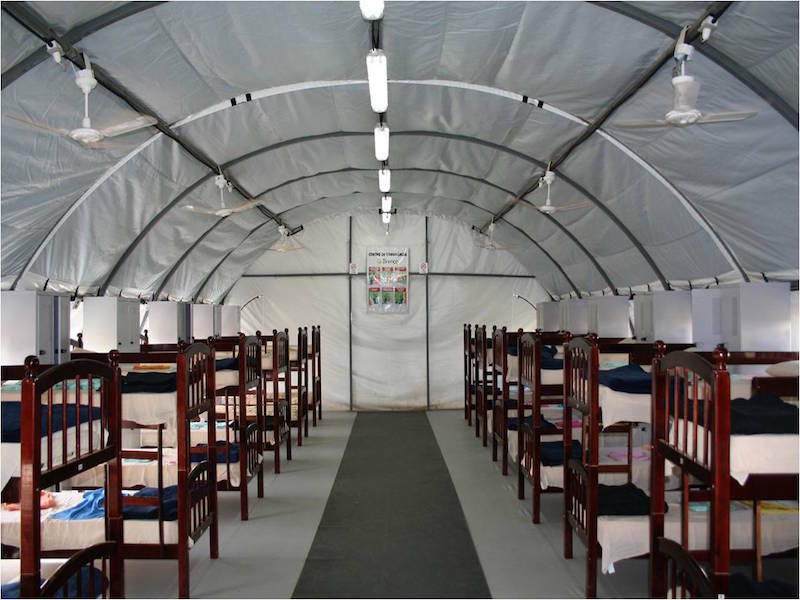 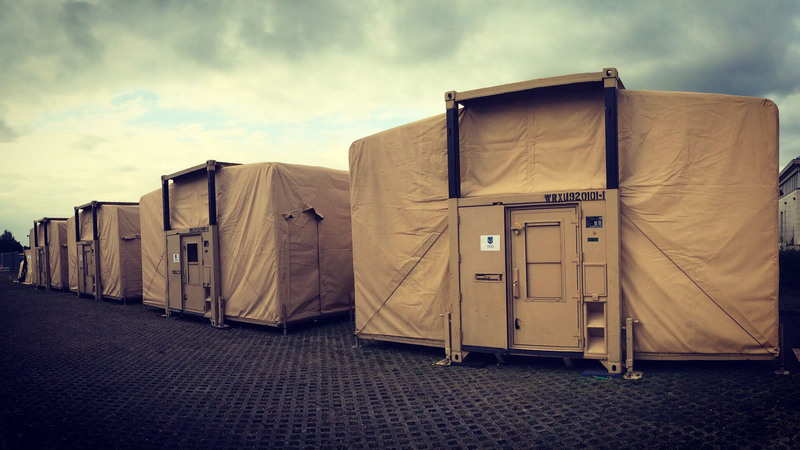 A true game changer in the delivery of rapidly deployable forward vehicle maintenance workshop shelters. 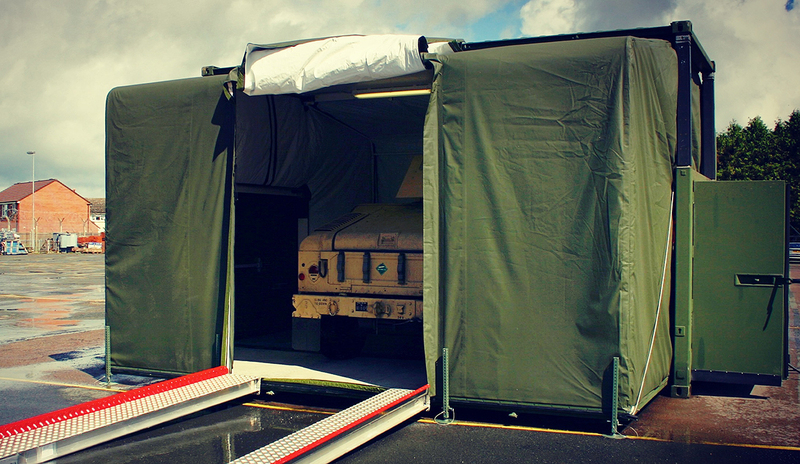 Vehicle just about to enter the EHMECC Specialist Vehicle Workshop via ramp system. 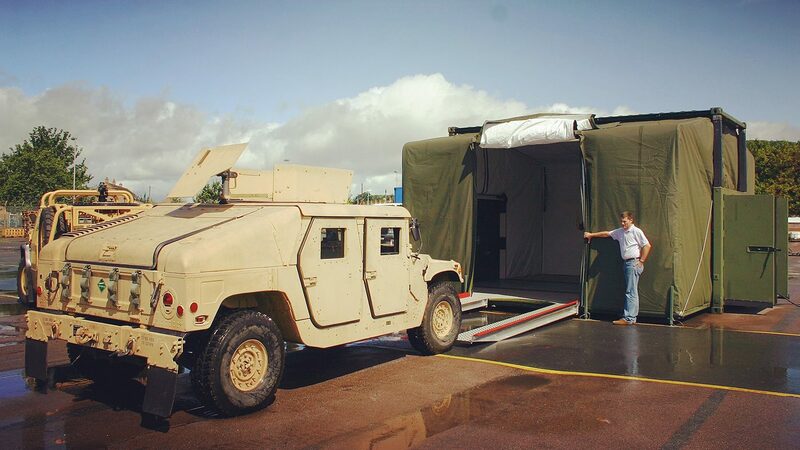 Vehicle inside EHMECC Specialist Vehicle Workshop. 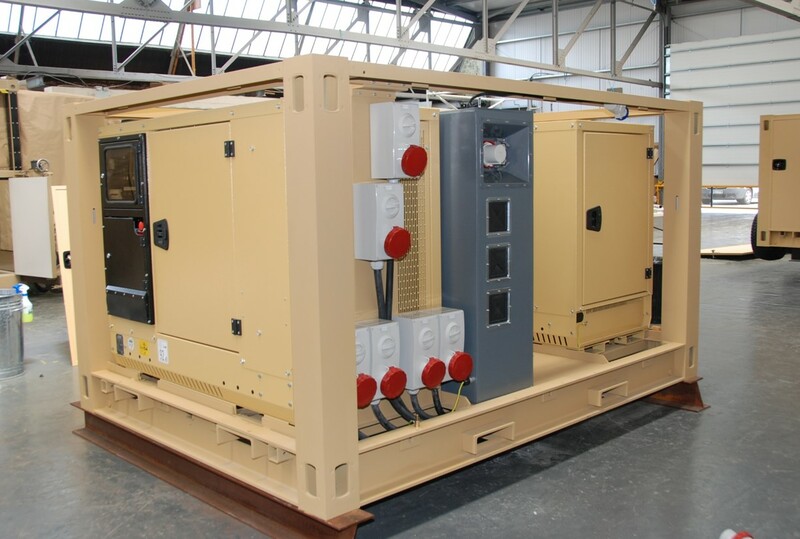 three-quarter view showing the 30kVa onboard generator and workshop systems. 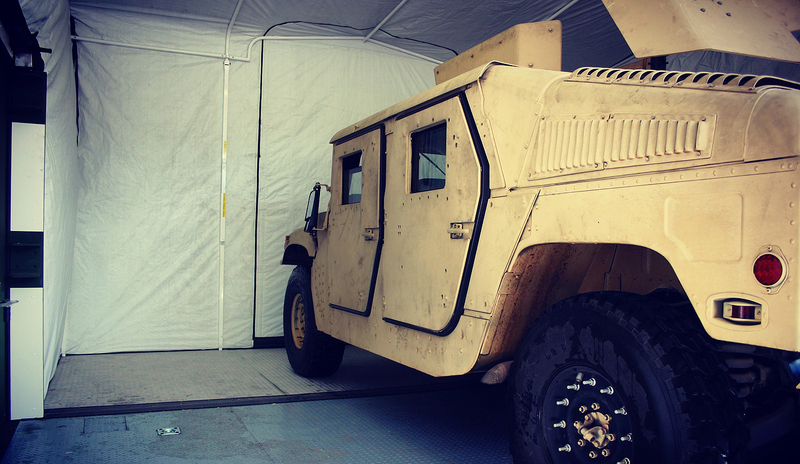 Inside the EHMECC Specialist Vehicle Workshop. 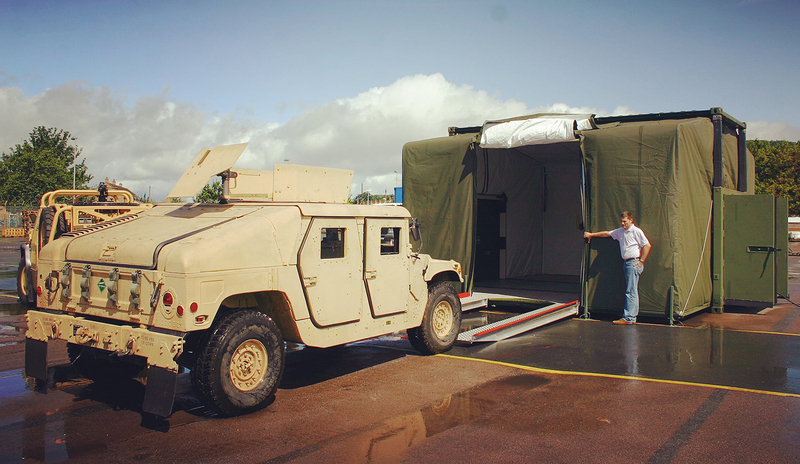 Contact us for further information on the EHMECC Specialist Mobile Vehicle Workshop project.